This is one of the easiest ways to download the youtube video from Safari browser, in which just a couple clicks while viewing the video can help you download it. Check this download youtube video from Safari tutorial. Its easy, but make sure that you don’t mess it up. And the video is available only in .flv mode, and not any other. 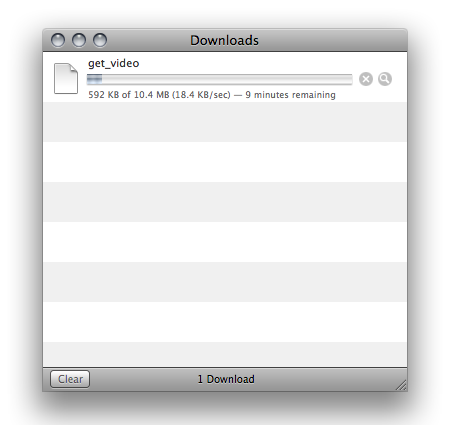 So if you want to have it optimized for your iPhone or iPod, you would need a video converter for that. With the release of the new Safari browser version 5.0, the availability of extensions and its installation is possible now. One of the extensions available helps you with the download of youtube videos with just a click. Its another easy way, but you would need to be updated to the latest Safari browser, and have the extension running. Check this tutorial on how to install Safari extensions. There is a safari bookmarklet which you can place in your toolbar, to just click and start the download of the video, when the video is being loaded. It will lead you to a link of mp4 version download. These are the best and easy ways to download the youtube videos from Safari browser both in mac and in windows.